Representative Jeffrey N. Roy (D-Franklin) joined his colleagues in the Massachusetts House of Representatives to pass its FY16 budget which emphasizes economic growth through investments in multiple areas including education and local aid, reform to the state’s transportation system, and an acute focus on improving behavioral health services. The $38.05 billion spending bill highlights the House’s ongoing commitment to fiscal prudence and targeted investments, a practice that has resulted in Massachusetts retaining its AA+ bond rating, the highest in the state’s history. The budget includes no new taxes or fees and reduces its reliance on one time revenue sources. For the first time since 2007, it does not withdraw any funds from the Commonwealth’s stabilization fund, leaving the balance in excess of $1 billion. The budget enhances the House’s longstanding reputation as a champion of municipalities. FY16 marks the first time that Massachusetts has access to slots revenue, providing a new funding stream of about $105 million. Investments in local aid include a $35 million increase to Unrestricted General Government Aid and an all-time high in chapter 70 funding of $4.5 billion, providing an increase of $25 per pupil. The budget takes immediate steps to address systemic management problems at the MBTA by including a series of procurement reform tools such as a 5-year moratorium on the Pacheco Law. The budget will call for an independent audit of the T’s maintenance protocols and fiscal liabilities. It also strengthens the Inspector General’s internal special unit to monitor the quality, efficiency and integrity of the department’s operating and capital programs. These updates follow the two transportation reform plans accompanied by major funding increases the House has passed since 2009. $4 million to support the delivery of high-quality EEC programming through efforts that include improved access to technical assistance, training and workforce development. Recognizing that education and economic development are intrinsically paired, the budget restores funding to two of the House‘s hallmark programs. It also enhances the House’s focus on bolstering job opportunities for residents of all skillsets in diverse regions of the Commonwealth. Continues to fund the Massachusetts Manufacturing Partnership, a program that has shown early results in closing the skills gap. More than $13 million for the Department of Mental Health to annualize and expand community placements to free up beds in the DMH pipeline. 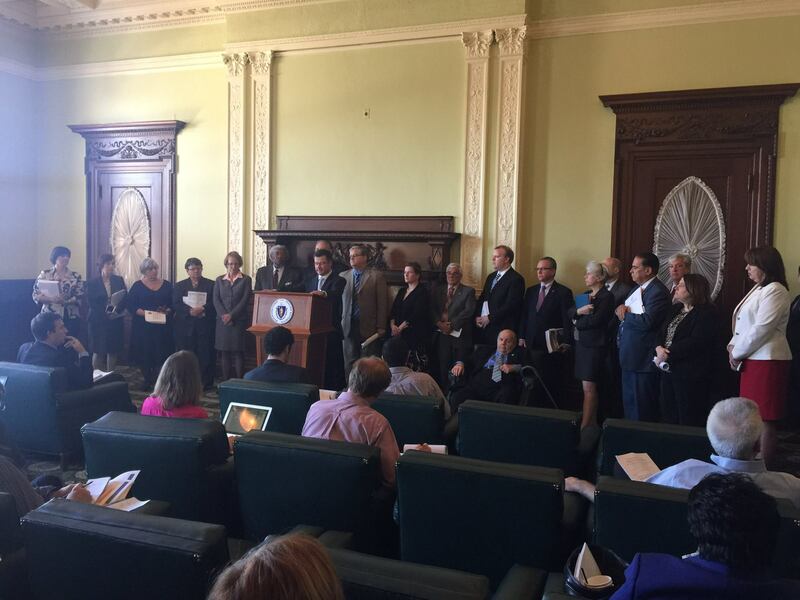 In additional to behavioral health and substance addiction initiatives, the House’s budget includes numerous provisions to support Massachusetts’ most vulnerable citizens. Nearly triples funding for witness protection services. The House budget includes a number of local budget items including $60,000 the purchase of school safety zone lighting for Franklin, $60,000 the purchase of school safety zone lighting for Medway, and $50,000 for a park and statue in honor of Horace Mann. Mann was born in Franklin on May 4, 1796 and Rep. Roy has been working hard to secure these funds for a fitting memorial to the father of public education as part of the downtown re-vitalization project. The budget will now go to the Senate.